Perfect for Your Wedding, Shower, or Corporate Event! When it comes to planning the perfect event, where you host it and what you serve are cornerstone to its success. If you want to impress even your fussiest guest, choosing a wedding and event catering company that listens to your needs and a venue that accommodates your guests will help make your party go smoothly from planning to clean-up. 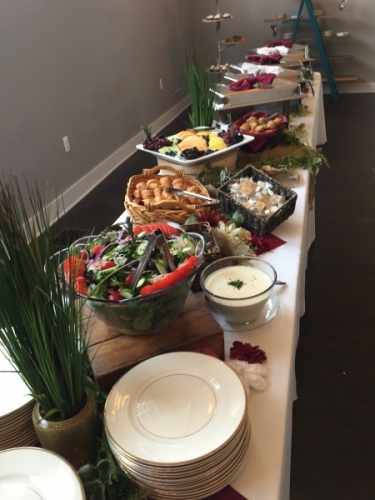 When you choose Kosch Catering to serve up delicious food at The Holly Vault, you have a winning combination. Call Kosch today for a great price on great food and help organizing all the little details. 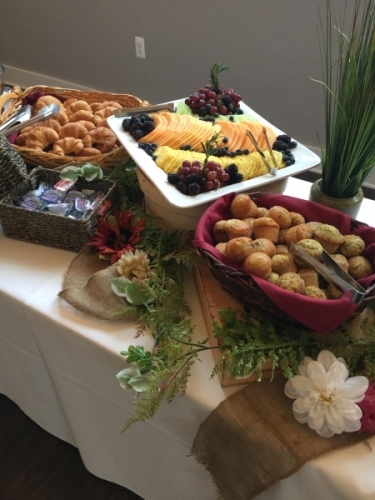 Safe & Healthy- We pay close attention to health codes and allergens that affect what you and your guests can eat, and serve foods that your guests can consume safely. Respectful & Sensitive- Kosch Catering can accommodate all moral, cultural and religious dietary restrictions that you and your guests may have. By respecting everyone’s beliefs and values, we make sure no one feels left out on your big day. Fresh & Warm (or cold! )- We serve freshly-made food and use quality heating and cooling equipment to keep it at safe temperatures for the entire wedding. The experienced chefs at Kosch know that we eat with our eyes first, and presentation is every bit as important as the food itself. So, we offer a variety of unique plating and serving options to complement your wedding or special event. While we meet with you to pick out your menu, we’ll talk about your preferences, your party’s theme and the length of the event, and design a spectacular service you’ll be proud to be a part of. Start with strolling apps and a champagne fountain or keep it simple with a cheese and fruit table. Whatever you decide, we’ll make it happen. 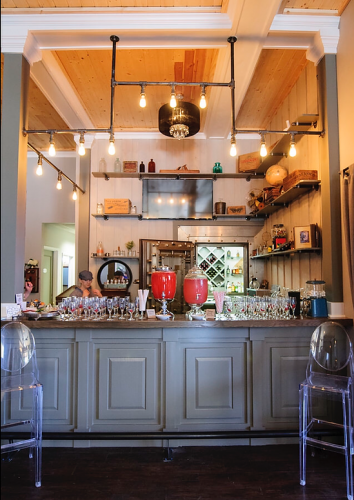 Indoors or Out, Fun or Formal, with Incredible Food from Kosch, You’ll Have an Event to Remember! When the Kosch team caters your party at The Holly Vault in Holly, MI, your satisfaction drives our team to go above and beyond. We specialize in catering weddings and events that turn "bridezillas" into "bridekittens." So, when you’re choosing a wedding venue and a wedding caterer, remember to call Kosch- the catering company that cares about you and your guests. To plan your wedding, shower or other special event at The Holly Vault or other locations across Southeast Michigan, contact Kosch Catering today and speak with a catering specialist! 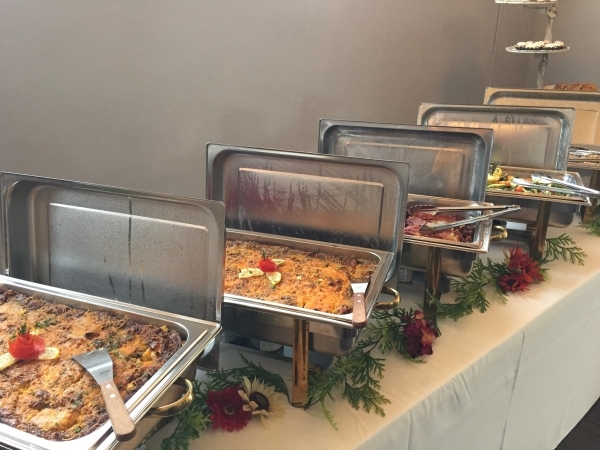 How did you hear about Kosch Catering?